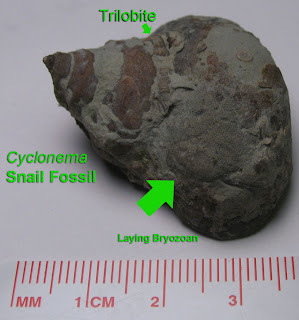 These partial fossil molds of the ancient gastropod Cyclonema were found in Carroll County, Kentucky. 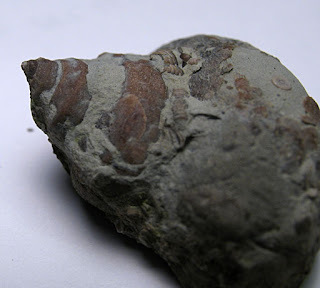 This snail existed in the Ordovician Period. The fossil was found in the Kope Formation. 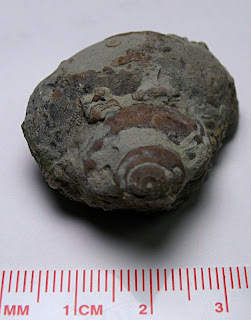 It is of the class Gastropoda, suborder Euomphalina, and superfamily Platyceratacea. The genus Cyclonema was named by James Hall in 1852. Usually the fossils I find in the Kope Formation are quite small but this fossil is almost 3.5 cm long. 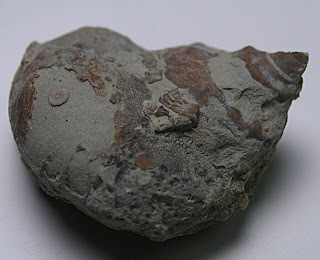 This fossil has part of fossilized shell.